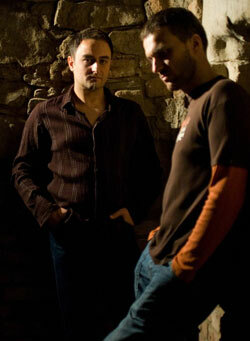 Recognized by DJ MAG as the best Polish DJs of 2008, Karol XVII & MB Valence have been present in the scene for over 10 years. They are producers, DJs, composers, authors and sound engineers. They also started independent label, Loco Records. Their work is appreciated throughout the world for their remixes, DJ sets as well as the technical quality of their productions. Their recordings have appeared on such labels as: RAISANI, REALBASIC, REEL HOUSE, SALTED, PEPPERMINT JAM / PROGCITY RECORDS, LOOK AT YOU, DTPM, OPEN BAR, ZYX, SEAMLESS, AENARIA, 23 EAST DEEP, LOOPFREAKS, EMI, SONY BMG, WARNER MUSIC, UNIVERSAL, MILK & SUGAR, PURPLE MUSIC, FULLSCALE MUSIC, LARGE, MORE MUSIC / EDEL, JUSTRAX, S’HORT / EXTREMLY HOUSE MUSIC, WITTY TUNES, OSPINA and 99 CARAT RECORDINGS. Karol XVII & MB Valence also have airtime on English SSRADIO, American CHICAGO HOUSE RADIO, German RADIO 42, Greek RADIO1, and other international radio stations, including DFR, FULL HOUSE, HOUSE RADIO, MOTION FM, on Polish radio stations RADIO STYLO and RADIOSTACJA. They have collaborated with many worldoreknown producers like MIGUEL MIGS, MATEO & MATOS, STEVE EDWARDS, SHIK STYLKO, RALF GUM, KID MASSIVE, MOD, OSCAR P, DAVE STORM, ROSS COUCH and BRIAN TAPPERT. Their productions can be found in DJ sets, radio playlists, compilations, music reviews and magazines all around the world. Karol XVII & MB Valence are supported by many famous figures in the music industry, such as SHUR-I-KAN, KID MASSIVE, CJ MACKINTOSH, DJ MEME, BORN TO FUNK, MIGUEL MIGS, SEBASTIAN DAVIDSON, GRAHAM SAHARA, CRISTIAN PADURARU, RICHARD EARNSHAW, BAMO /SPIRITCHASER/, ROBERT OWENS, KEITH THOMPSON, YVES MURASCA, NILS NÜRNBERG, FLORIAN KRUSE, DAVIDSON OSPINA, JEFF CRAVEN, DJ MANNIX, OSCAR P, MATT MASTERS, SPIN SCIENCE, KEVIN YOST, ROSS COUCH, GORGE, KLAUS SPITZNER, SVEN JACOBSEN, NACHO MARCO, MATTEO ESSE, C&M PRODUCTIONS, BLACKSOUL, EELKE KLEIJN, DAVE STORM, LEMON POPSICLE, NEEVALD /DJ MAG/, MIKE HADDAD, LUCA RICCI, MRCENZO, BOGDAN TARAN, MARCO SMITH /TTR MAGAZINE/, SERGI RIBAS, DJ DEALER, DEAN FACER, DARIN EPSILON, JAMES TEEJ, ESTROE, AGENT GREG. We are proud to present Karol XVII & MB Valence as this month's GroovCast, only on Groovanauts.com.